A quality product with more flavour and less fat. 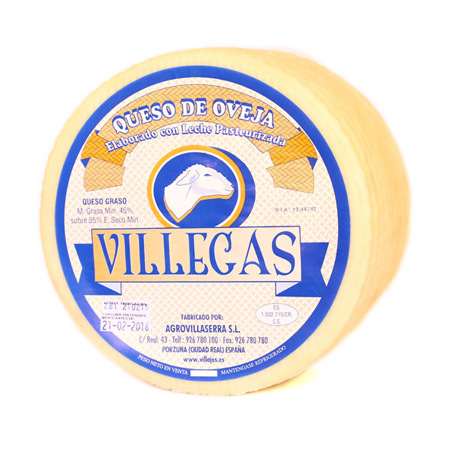 The Villegas tender cheese is totally made from sheep pasteurized milk. It has a creamy and subtle texture and a soft taste with personality. Its aftertaste is nice and slightly acid. It is ideal for those who love the good cheese and look for a more delicate taste than the one of the cheeses with a longer ripenning period. The Villegas tender cheese is also appropriate for those who desire a lower calorie input.